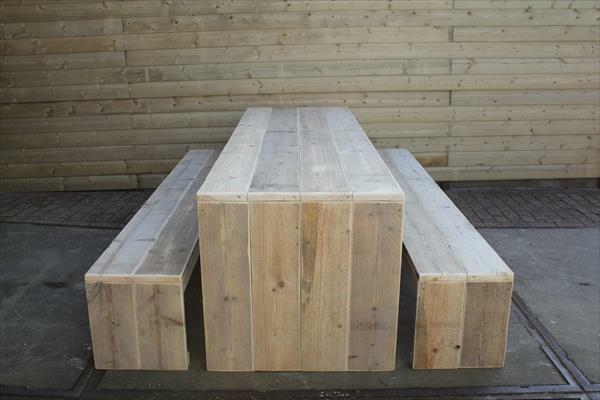 Are you really sorting out some smart way to get full avail the pallet wood? Do you really want a garden project out of pallets? If yes, then swank DIY pallet project will meet both of your desires on a very cost effective budget. 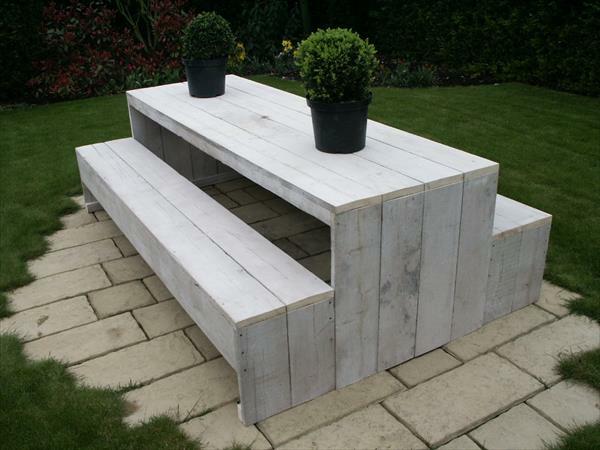 We have made DIY pallet garden furniture containing a table and two surrounding benches for sitting. This no-cost plan will really make you garden a throughout functionality by providing the chic sitting place. This would definitely be a great place to take afternoon coffees and snacks in open and green environment. This is just a great way to magnify the garden decors and can also be used to get sitting space at your patio or home deck. Don’t house the retired pallets in dumpsters as they can do very well if you use them in wise and yielding way. 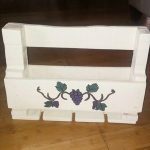 With a creative twist, you can also use this pallet wood to create a chic DIY pallet furniture setup to get a garden accent place for overall beauty.